Based in Germany's ex-communist east, the so-called "Freital group" had sought to create "a climate of fear" at the height of Germany's refugee and migrant influx in 2015, prosecutors say. The so-called "Freital group" modified pyrotechnics that were bought for five explosives attacks. Dresden, Germany: Eight members of a German far-right group face verdicts Wednesday after a year-long terrorism trial over a series of explosives attacks targeting refugees and anti-fascist activists. Defence lawyers have not disputed the attacks but reject the charge that they constitute terrorism or attempted murder, arguing instead that the bombings were "spontaneous". 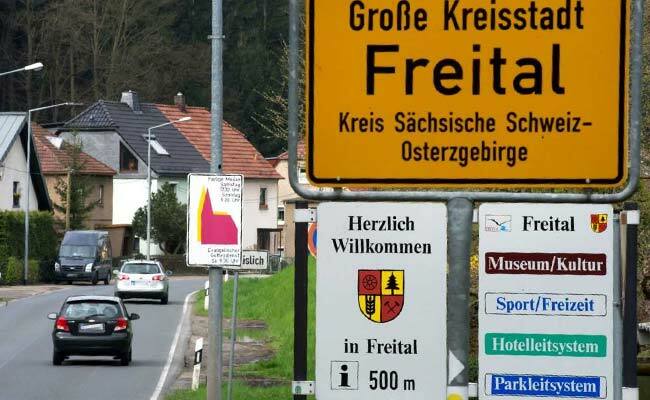 The Freital group is named after the members' hometown, which drew notoriety beyond German borders in 2015 when enraged protesters there railed against "criminal foreigners" and "asylum-seeking pigs". Nearby Dresden, capital of the eastern state of Saxony, was the birthplace of the anti-Islamic street movement Pegida, which has ties with the far-right Alternative for Germany (AfD) that has since entered Germany's parliament. In the dock are the two suspected ringleaders Patrick Festing, a pizza delivery and warehouse worker, and bus driver Timo Schulz as well as five more men and one woman, Maria Kleinert. Prosecutors say they staged five attacks with explosives between July and November 2015 two on Freital refugee homes, two on an office and a car of far-left Die Linke politicians, and one on a Dresden communal residential complex. A Syrian refugee suffered "multiple cuts" to the face when three explosive devices were hurled through the windows of a refugee housing centre on the night of October 31. "I am sorry," he said. "I can't explain why I did it." Kleinert said she too had suffered discrimination for being a lesbian and told the court: "I wish I could answer the question of why, because I, too, despise discrimination and exclusion."